WestCoDude-- well I am not sure about the facts, I can say I have picked up on what you are talking about just through my impressions and reading. I can honestly understand how Colorado natives may have over reacted to the growth. I went to Colorado in 1996, 2000, 2005 and then just the other day. I have witnessed the growth myself and that could send some into a panic. But I think you are right about the economy there. Well...I dont know that much about it, like another poster said -- some people will do just fine depending on how they got in and their job. All I know is something is strange about it, its never been so hard for me to get a job somewhere (I have not tried that hard, but never had to, and have been turned off for some reason or another to most of the jobs I would consider applying to). It really does seem that employers there think they have all the power.....and that will probably eventually backfire unless, as another poster said -- its a national company or something that moves people around internally. Oh I adore California and Sacramento -- housing is expensive but not nearly as bad as the rest of the state. Rent is actually cheaper than Chicago and the salaries tend to be good enough that its actually a better deal usually than Chicago or the suburbs of Chicago. I am leaning toward SA now just cause the job sounds so good and because it sounds like a new adventure for me. But, I am not at all sure about that. I do at least think I am on the right track -- these 3 cities seem to be the best fit for me at this point! oh man these results are getting close! I hope to hear more specifics about why people would choose one over the other! WestCoDude: so if Denver all of a sudden is anti-business, anti-growth, high-taxes and family un-friendly, some kind of boutique city as you say, then what does that make Los Angeles? and what about San Diego? Because I'm going to be living in LA for one year while I go to school for a one year program, and after that the doors are wide open for me for where I want to live-- I figure if I don't like LA it's either San Diego (my favorite city as of this moment) or back to Denver-- or wherever I feel like going. You know, it's all relative-- what are you comparing each city to? For every city, you can always find another place that's even cheaper yet. But how cheap do you want to go? I hear Shanghai is extremely pro-business and extremely cheap-- so given your logic, you must want to move there next, right? It's not speculation, vegas....it's reality. Colorado's economy is in the crapper because it consistently fails to bring in the big business. Denver lost its bid for Boeing because Chicago is simply a better city for business. Colorado's pro-tax frenzy of late is very bad for business--and the average consumer. While Colorado is going crazy on trains and environmental taxes, an absurd amount of people can't even afford their mortgages!! The economy is bad across Colorado. It is no better along the Front Range than it is on the Western Slope. Colorado has a remarkably centralized governmental structure and thus the bad policies at the capitol cause ruin for the whole state. Likewise, unlike places like St. Louis or Phoenix, metro Denver is highly centralized. Mayor Hickenlooper has focused on metro-wide cooperation on Ref C and D, Fastracks, and a number of other initiatives. You're right that most of the suburbs are quite conservative when compared to the city of Denver. But when it comes to taxation and an inability to draw business and commerce, the whole metro area is suffering. And, yes, Boise and Salt Lake are dramatically more pro-growth. Look at the cities that are growing, vegas. Look where the business is going. Follow the dollar. Salt Lake is hot, hot, hot and Boise is not far behind it. If you look at which cities are attracting business and newcomers...those are the towns you're seeing. What are the towns you keep seeing? Atlanta...Boise...Washington....Austin.....Phoenix ...Charlotte....etc. There's nothing family-friendly about Denver's increasing tax rate (low...but growing), high cost of living, and poor job situation. I'm from suburban Denver. I love suburban Denver. And I agree that it's got great schools, churches, parks, etc.--things that make a place great for families. But what it doesn't have is an economy that is conducive to family living. San Antonio, Charlotte, and Atlanta all have nice family-friendly suburbs too. And, what makes them stand out, is that they are actually affordable. Just a tid bit, San Antonio has a Boeing plant at Port of San Antonio. It seems San Antonio is finally being noticed for it's economic strengths and not just for the Alamo and Riverwalk. Yeah...I'm not going to disagree with you. San Diego is a great city and LA has tons of opportunity. I think you'd be fine in either of those cities. And plenty of people make Denver home and love it and do well there. I'd go Denver, then Sacto, then San Antonio. Don't forget that SA is in Texas. Not a good thing. I've lived in the Sierra Foothills my entire life (about 45 minutes East of Sac on Highway 50), and of all the cities I've visited, Sac is the only one I could ever actually live in (though I'm really not into the city life). I'll say this up front however, I've never been to San Antonio, and I've only been to Denver once. By itself, it's a very nice city. First off, because it is the capitol of California, it has a great deal of civic importance. A lot of the political trends and ideas that effect the nation begin in California (most populace state, most economically viable state, ect), and thus Sacramento is often times on the cutting edge of all of this. Though the West (or Left) Coast is often regarded as a center for liberal politics, most of California (area wise) is conservative, and so Sacramento is a very well balanced city in terms of political ideologies (for better or for worse, it's where Rush Limbaugh got his start). Second: There's a rich local history, beginning (for the most part) in the mid 19th century. The railroads came to Sacramento early (Central Pacific and the Transcontinental Railroad) because of the Gold Rush, and California was one of the first of the Western States to be accepted into The Union (after briefly being its own country, see California Republic - Wikipedia, the free encyclopedia). Another nice thing about our history is that Sacramentans, and Californians in general, are dedicated to preserving it. Third (get ready for a Cliché): Location, Location, Location! Sacramento is a few hours away from damn near everything. Like the beach? 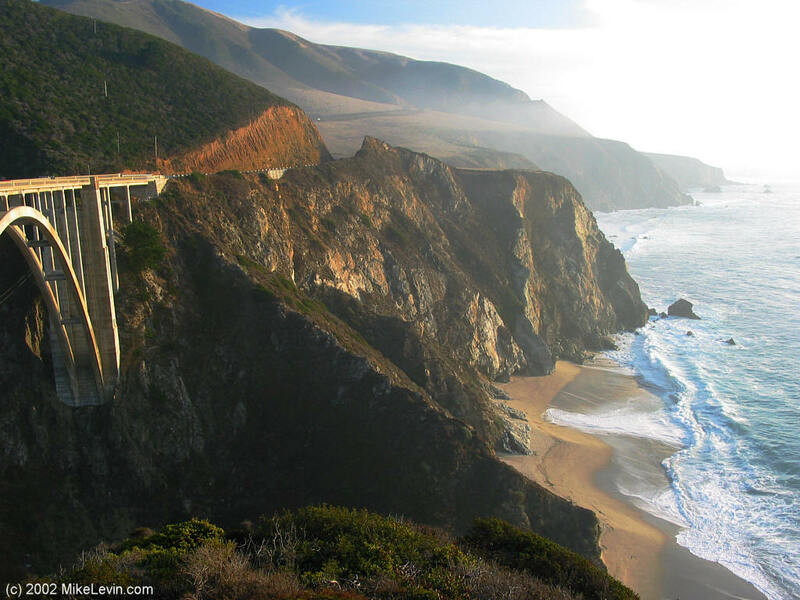 Check out Big Sur, Point Reyes, San Simeon, etc. Like the mountains? Visit Lake Tahoe, Yosemite (home to the highest waterfall in North America), Mount Whitney (the tallest mountain in the Lower 49 States) Mount Shasta (largest, volume-wise, stratovolcano in The Cascades), etc. (http://www.landscapedvd.com/desktops/images/laketahoe1280x1024.jpg, http://www.digital-images.net/Images/Yosemite3/YosemiteFalls_Meadow_3397.jpg (broken link), http://www.astronomynotes.com/nature/shoffner/MtWhitney-rwb.jpg (bad picture of Whitney),http://www.humandesignofmtshasta.com/yahoo_site_admin/assets/images/mt19.19390646_std.jpg). Like the wine country? 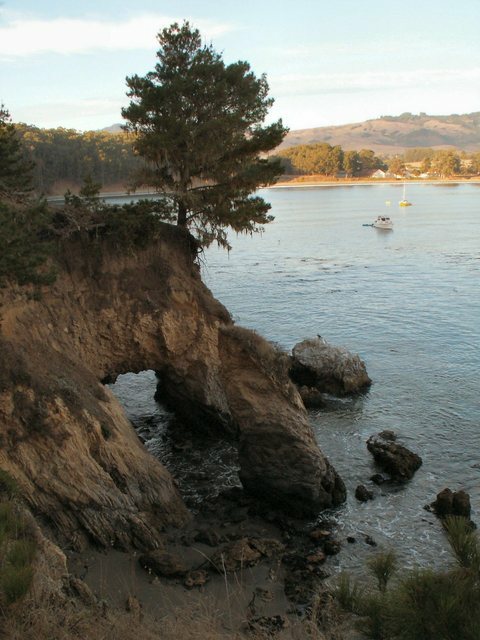 Visit Napa, the Sierra Foothills, Sonoma, etc. (http://z.about.com/d/hotels/1/0/E/6/2/napa_valley.jpg, http://www.sierrawineguide.com/images/Boeger/Boeger2.jpg, http://www.seewald.com/images/west_US/Napa%20Sonoma/Napa-sonoma-vineyards272.jpg). Fourth: The Mediterranean climate. Sacramento has mild (albeit wet) winters, and warm (but dry) summers. During the summer, it will often reach 100 degrees in Sac, but as evening comes, the Sea-Breeze comes (because of the gap in the Coast Ranges) and cools things off quite nicely. The climate fosters excellent growing conditions, and the area is known for its agriculture (Sacramento is known as the city of trees). The Downside: Sacramento floods, badly. Our levee system is old an outdated, and is damn near ready to collapse. We have serious floods in the area about once a decade, and are well overdue. Pollution is also a serious concern, but not as bad as people make it out to be. Much of it gets blown out of the valley to the Foothills (where I live, actually) by the delta breeze. The cost of housing is above the national average (but so are the salaries), and goods and services are proportionately more expensive. Norcal is also home to many, many, other attractions. It's certainly not the capitol of the United Sates, but Sacramento is the closest thing there is to a capitol of the West Coast. Finally, if you do end up choosing to live in Norcal, you must embrace the phrase "hella," as in "that's hella cool." Trust me, you'll understand later . Edit: Wow, most of my URLs got messed up pretty badly, but if you copy and paste them into your browser, they should work just fine. Sorry 'bout that. Thank You, I was wondering when someone would come forth for Sacramento! Those are many of the reasons I was so happy there when I lived there for a short while! Sacramento has some of the worst air quality -- but honestly I did not notice it when i lived there four years ago. I did notice it when I visited last month. One of the things I loved about Sacramento is that the air smelled like citrus to me, sometimes eucalyptus, and sometimes like a word burning fireplace! Oh...and one of the great things about the place too is that fruit and produce is sooooo good and locally grown, its everywhere. Sac also has a lot of trees and so many different varieties of plants and trees. Didn't smell the ocean til I got closer to it!